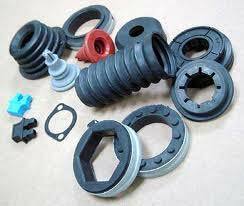 We bring forth high quality Rubber Gaskets that are widely used for packing and sealing purpose. These Rubber Gaskets are manufactured by high grade rubber which for strength and flexibility. Available in various sizes and thicknesses, these Rubber Gaskets are weather resistant and easy to clean. We offer these Rubber Gaskets in suitable packaging to meet the numerous requirements of clients.